To include the walled city Jaipur in the list of UNESCO World Heritage Sites, an inspection by UNESCO team was announced. On 22 September, a team of UNESCO’s International Council on Monuments and Sites (ICOMS) came down to Jaipur. They are on three-day visit to physically inspect and prepare report on the heritage value of Jaipur city. Know more. 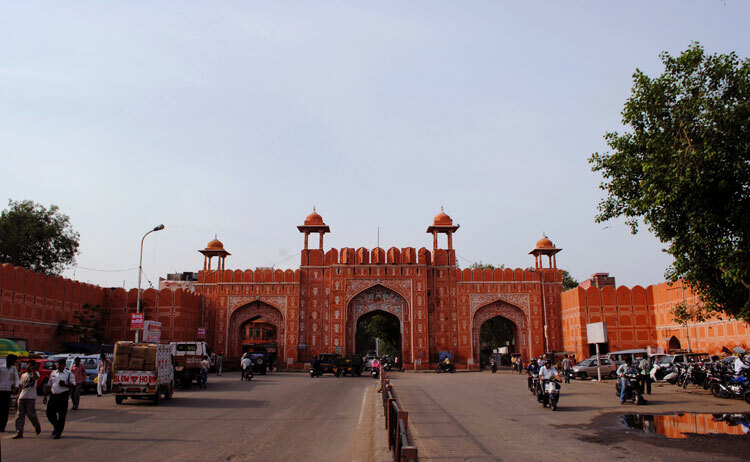 On the basis of heritage architecture and monuments of the city and their conservation status, the team will do evaluation and decide about walled city Jaipur’s inclusion in the list of UNESCO World Heritage Sites. The team is scheduled to visit 41 monuments and heritage areas of the city during their three-day tour. The team visited City Palace, Hawa Mahal, Tripolia Bazar, Brahmpuri and several other parts of the Walled City on day one. Archaeological Survey of India and representatives from ICOMS held a meet with the government of Rajasthan. The state government for conservation and restoration of heritage at Jaipur briefed them the efforts made for conserving the city’s monuments. Amber Fort and Jantar Mantar of Jaipur are already on the list of World Heritage Sites. Now, the state government is making efforts to get the same status for walled city. Rajasthan government and civic authorities have increased their efforts to make walled city look better. Jaipur city was established almost 300 years ago. This city is known across the world due to several architectural marvels. It attracts lost of tourists every year. Well.. the process of modernization is destroying the city. If one more site is added in the list then it will enhance the value of city in global tourism map, drawing in business along with pride for the residents.